Beverly J. Jones, 84, Iron, MN, died Wed. April 11, 2018 in the Cornerstone Villa in Buhl, MN. She was born April 14, 1933 in Hinckley, MN, the daughter of Henry and Elsie Braun. Beverly married Robert Jones on July 19, 1952 and together they raised 5 children and several foster children. She was the office manager for their family business, J& K TV Service. In her free time she loved riding motorcycles with her husband and farming their land. 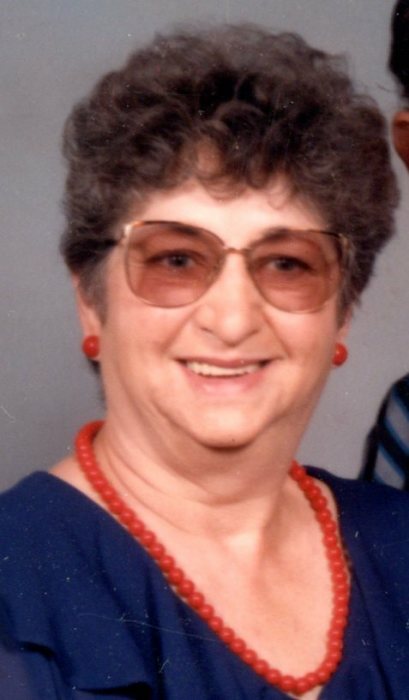 She also enjoyed the winters she spent in Swanee River, FL and was an amateur Ham Radio Operator. Beverly was a member of the Blessed Sacrament Catholic Church. She is survived by her husband Robert, her children: David (Mona) Jones of Buhl, MN, Dorothy (Dave) Bennett of Cherry, MN, Patrick (Gary) Jones of Minneapolis and Bobbi Jones also of Minneapolis, her brother Richard R. Braun of El Paso, TX, 6 grandchildren Ricky Jones, Kelly Jones, Stacy Wesley, Kristi Bennett, Tiana and Brandi Rusczak along with several great grandchildren. She was preceded in death by a son James in 2005. Funeral services will be held at 3:00 p.m. Monday April 16, 2018 in the Blessed Sacrament Catholic Church, Hibbing. Visitation will be in the church on Monday from 2:00 p.m. until service time. Burial will be in the Cherry Cemetery.